Flash has his super speed, but it will probably be nerfed to keep the game balanced. I think somebody said he'd have a dash move like Kabal. 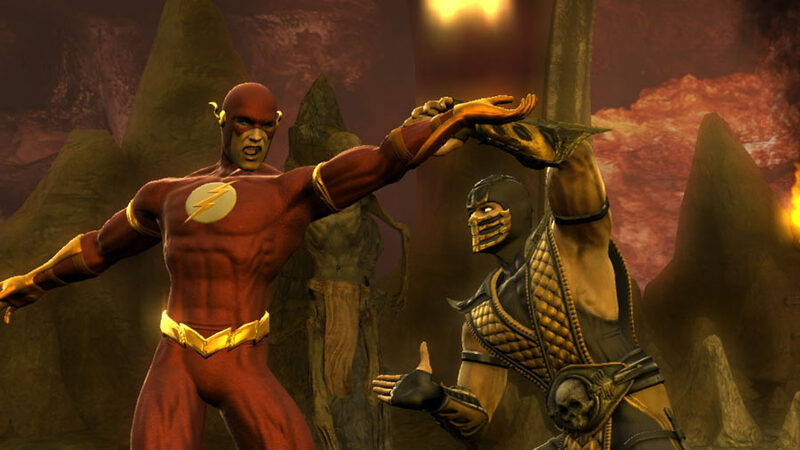 Ed Boon tells Ripten, "All of the MK characters and all of the DC villains will have fatalities. The DC heroes who don't kill that often will have brutalities that will function just like fatalities but don't actually kill the opponent." Boo, that's just awful. Was there any other reason to want to play this game other than to watch Superman rip out his opponent's spine? Sure spine-ripping may not be in Superman's wheelhouse, but what's the point of teaming up with Mortal Kombat if there will be no mortal combat for half of the characters? Last edited by W.West; 06-27-2008 at 05:56 PM. To bad Bat's armor couldn't look like that for Dark Knight. I'll snag it seeing how I still will plug in the way old playstation and play Star Wars: Masters of Teräs Käsi from time to time. It's got to be better than the Justice League game that came out for the Super Nintendo. This game might end up being fun. But it's gonna be real lame. With the powered down superheroes and the family friendly fatalities. I don't see myself owning it. I read an article in a mag about this earlier tonight. Flash's costume was altered to make him more prepaired for the MK characters and there will be combat damage thats pretty heavy. No fatalities but with the right characters it might be better than we all expect. I've been waiting for this game since I first saw the trailer. Yeah, I'm a fan of both MK and DC. I'm hoping it turns out good. I hope they end up making a tie in comic. Its lost potential, and money, if DC doesn't. If they make a tie-in comic it should stay as far away from continuity as possible. It could tie up loose ends like Flash altering his costume for the fighting, Supes getting owned cause everybody in MK uses magic, etc. A book like this should be a mini comic and come with the game. Yeah, Midway polled on their site about what you'd want as a pre-order item, and one was a comic. For continuity, I heard that DC might make it canon, just only make one or two reverences ever...<_< So, basically, ignored canon. I can't remember where I heard that, so sorry I can't link it...I wish I did, because I can't remember exactly what it said. The Challengers could have a cross-over with them down the road [I smell another fanfic story]. Last edited by Fearless; 07-14-2008 at 08:23 PM. 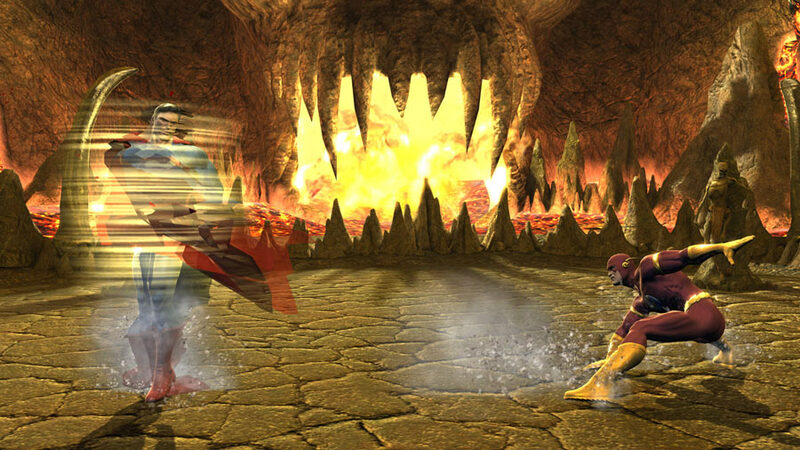 According to the MKast, Captain Marvel has been confirmed to appear in Mortal Kombat vs DC Universe. Green Lantern and Wonder Woman are the last of the major DC heroes who have not yet been confirmed. Wonder Woman is a given, but will GL make the roster? GL BETTER make the roster, or they will NEVER see my money. Man, what a kick in the nuts that'd be if 'lil Billy Batson makes the cut but not any GL. The buzz word for the people at Midway seems to be "iconic." Outside of comics, how recognizable is GL compared to the Trinity, Flash, Catwoman, or Captain Marvel? Given that the kids who watched Justice League and JLU are hitting their early teens (aka prime Mortal Kombat demographic) I'd say a GL is a lock.